The Home Secretary has told the PRRB that he wants to see officers’ pay ‘properly targeted’ and that affordability must be considered in the next review of police salaries. 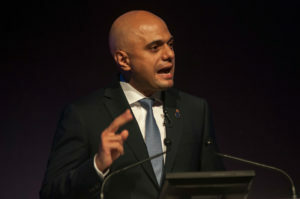 Sajid Javid’s letter to the PRRB authorising the body to begin its review says that targeting pay is the ‘only way’ to recruit and retain officers where they are needed most. A level of pay ‘discipline’ is also required, he said, to ensure police pay is affordable. The letter includes five areas which need to be considered by the PRRB, all of which must support NPCC proposals. The pay recommendation must set out how it will apply to all ranks and a timescale for implementation, and include how and if staff associations have been considered in the NPCC’s plans while providing feedback on the plan itself. Progression pay for police apprentices and reviewing NPCC proposals on payments to Superintendent ranks for undertaking each 24-hour on call period are also on the body’s to-do list.